Everyone has a player they love to hate. It could be just a smug son of a gun who simply annoys you by the look on their arrogant face, but more often than not it'll be someone who you feel has personally wronged your club in some way. In the eyes of a football supporter there is no greater villain than someone that forces a move away from their beloved club and the hatred grows even deeper if they join a local rival. 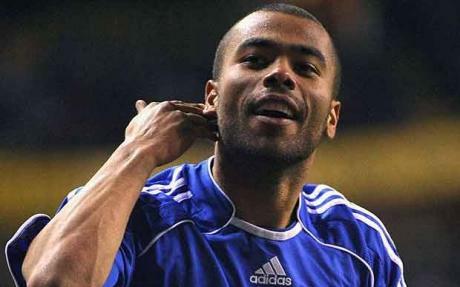 You could easily make a list of former Arsenal players alone that have forced moves away from the North London outfit and drawn the ire of their supporters, but perhaps none is reviled more than Ashley Cole. The boyhood Gunners fan had come up through the club's youth system and was a part of the famous 2003/2004 "Invincibles" who finished the Premier League season as undefeated champions. An ugly contract dispute with Arsenal, which he ridiculously revealed the details of in his self serving autobiography, led to his move to Chelsea in 2006 and he's never been forgiven for that by Gunner's supporters. One of the original Galaticos, Luis Figo had been a star for Barcelona for five seasons before their bitter rival Real Madrid swooped in with a record breaking $60.1 million offer for the player in 2000. Whether or not he actually pushed for the move is open to question, but what isn't disputed is the hatred Barca's fans had for Figo whenever he returned to the Camp Nou. 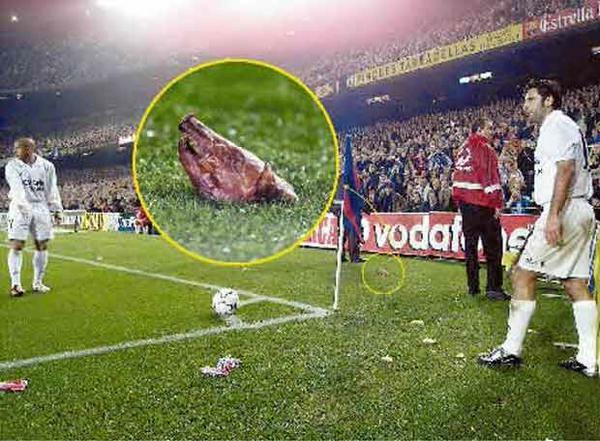 Banners calling him "Scum", ""Traitor" and "Mercenary" were always on display and he was showered with objects from the stands whenever he went to take a corner. Knives, whiskey bottles, mobile phones, lighters, oranges and most famously a pig's head were several of the things thrown in his direction. The physically imposing former England defender Sol Campbell had come up through the Tottenham youth setup and quickly established himself as a mainstay in the Spurs defence after making his debut in 1992. 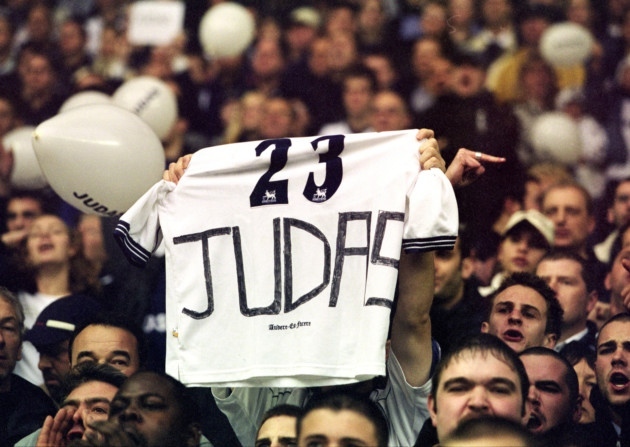 In 2001 though, with his contract winding down and the club worried about losing him on a free transfer, Spurs offered him a record breaking salary to keep him in North London. Although he considered the move for months he opted not to re-sign as he wanted to play for a club in the Champions League. He dragged out the negotiations until his contract expired at the end of the 2002 season when he was able to leave the club for nothing. 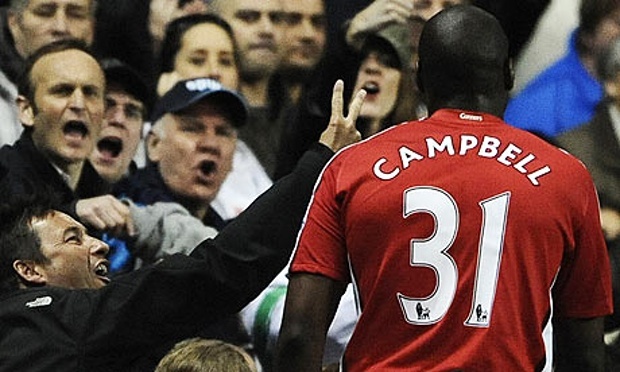 The fact that Tottenham wasn't going to be able to keep him or at the very least command a hefty transfer fee for Campbell was one thing, but his eventual destination of Arsenal sent Spurs fans over the edge. They never forgave him for joining their bitter rival and he is still probably the most hated former player in the history of Tottenham Hotspur. Viewed as a mercenary extraordinaire by most of his former clubs, Carlos Tevez played for Manchester United over the course of two title winning seasons in 2008 and 2009, before his complicated contract with the club expired and they were given the choice of buying him out of his third party ownership or letting him go. 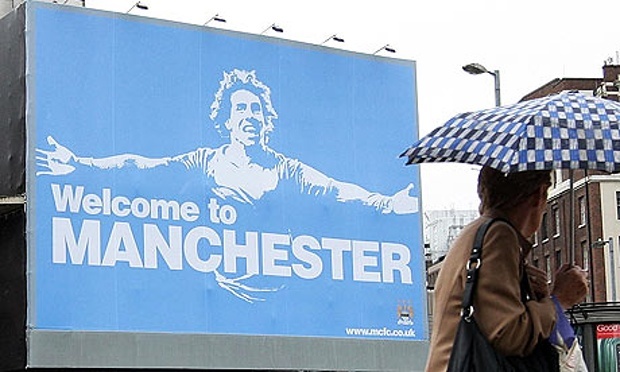 As the fee for Tevez was quite substantial, most United fans would have been alright with him going to another big side in Europe if something couldn't have been worked out at Old Trafford, but Carlitos stunned Reds fans when he joined local rivals Manchester City. He furthered angered the United faithful when he appeared on "Welcome to Manchester" posters that City plastered around the town center. Former England captain Paul Ince grew up as a West Ham United supporter and lived the dream as he worked his way through the club's once famous youth setup before debuting with the senior squad in 1986. After shining for several seasons with the Hammers, the club were relegated from the top division following the 1988/1989 season and Ince wanted out. A transfer fee was agreed with Manchester United, pending a medical, and the self styled Guv'nor posed in a United kit for a local paper. The problem was that he failed the medical and had to return to Upton Park with his tail between his legs. The fact that the deal was later finalized and he did end up at Old Trafford was immaterial to Hammers supporters as one of their players had worn an opposition kit while technically still being a part of their side. 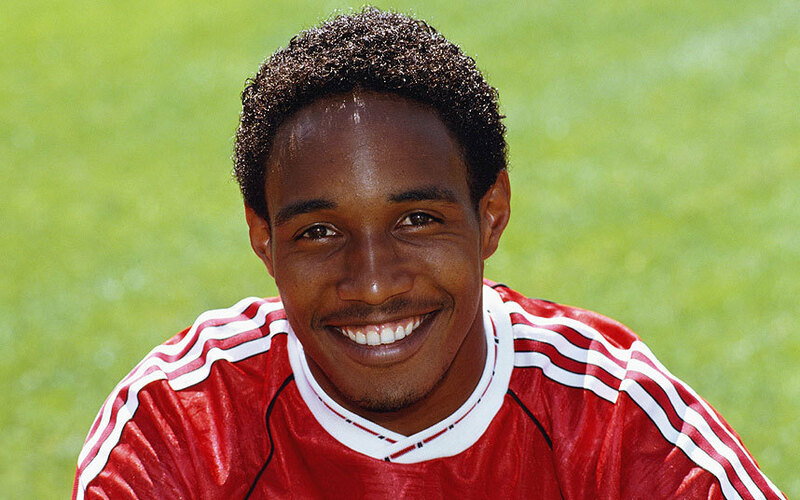 Ince suffered from horrendous abuse on every subsequent visit to the "Boleyn Ground".